The internally routed S-Works FACT carbon disc fork features a thru-axle design that increases steering response and rider input for the tight turns and the all-out efforts that 'cross demands. CeramicSpeed's legendary bearings are found in the bottom bracket of the S-Works CruX, ensuring that all of your power is going to forward motion. 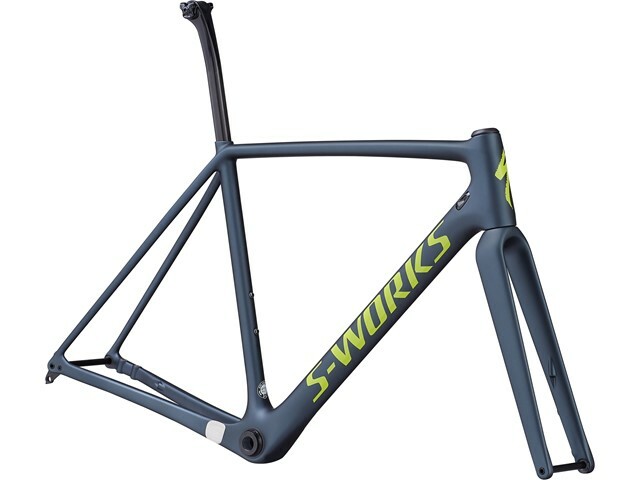 Our top-of-the-line S-Works FACT 11r carbon frame features a race-ready 'cross geometry, and comes equipped with thru-axles, 142mm rear spacing, and takes advantage of our highest quality carbon production methods in order to create a bike that's as responsive as it is lightweight.